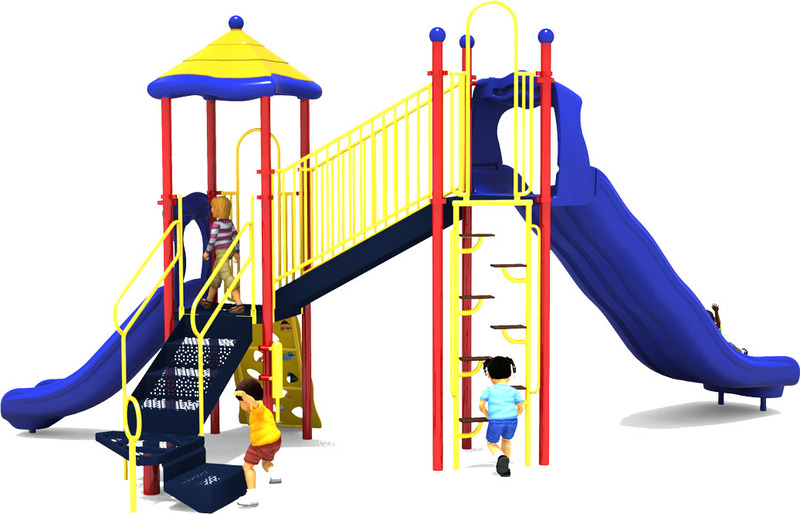 The Sky High commercial play structure from American Parks Company makes addition to any new or existing playground at schools, churches, multi-family housing community, or residential park. 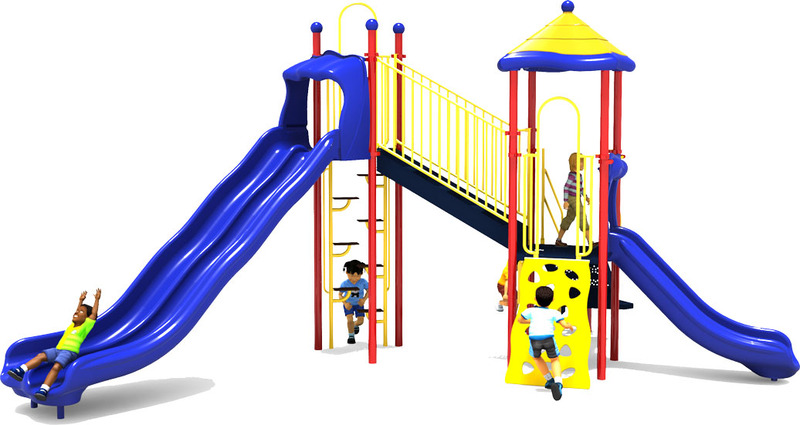 It is designed to accommodate up to 25 children aged 5 to 12 years old with its 5 different activities. 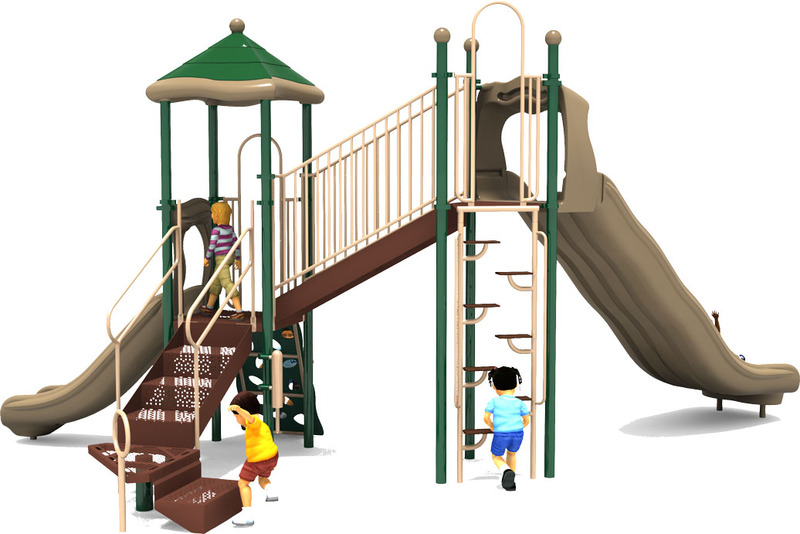 This commercial playground features two slides and two climbers at two different deck heights: one for younger or less experienced ages, and the other for older more confident children. 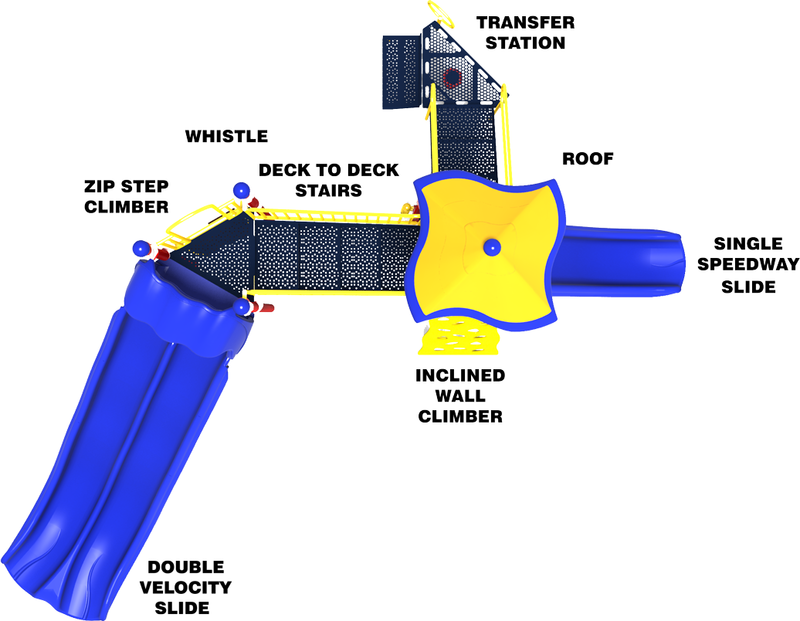 The Double Velocity Slide lets big kids race down to the bottom side-by-side, improving socialization skills while being incredibly fun! 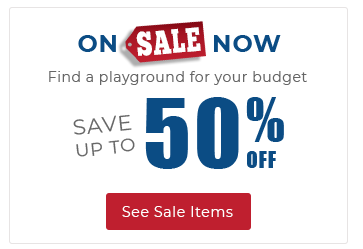 But teachers and parents will enjoy the fact that kids of any experience level will gain confidence boosting activities that will greatly improve their health and physical fitness. 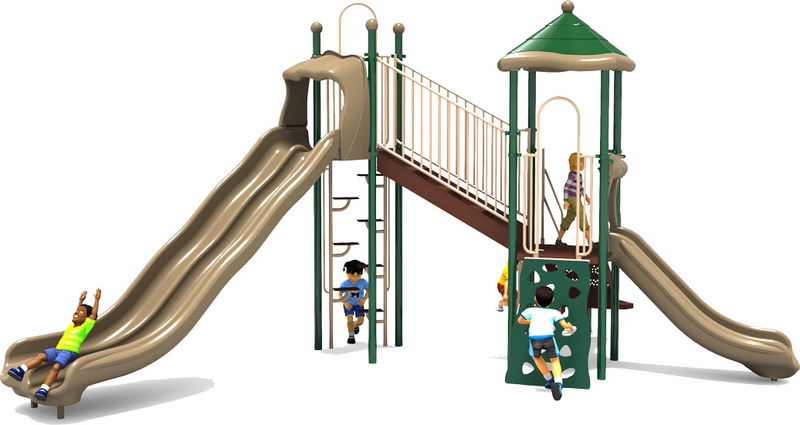 The Inclined Wall Climber provides a manageable challenge with its foot and hand holes. It works out both upper and lower body muscle groups. The Zip Step Climber is a vertical climber that focuses on improving leg muscles. With the addition of a Rosetta Roof, this playground provides an outdoor learning opportunity in the underside of the rotationally-molded plastic roof. There are several common phrases that kids can learn in English, Mandarin (Chinese), and Spanish. The inclusion of the post-mounted Whistle provides an opportunity for imaginative play.